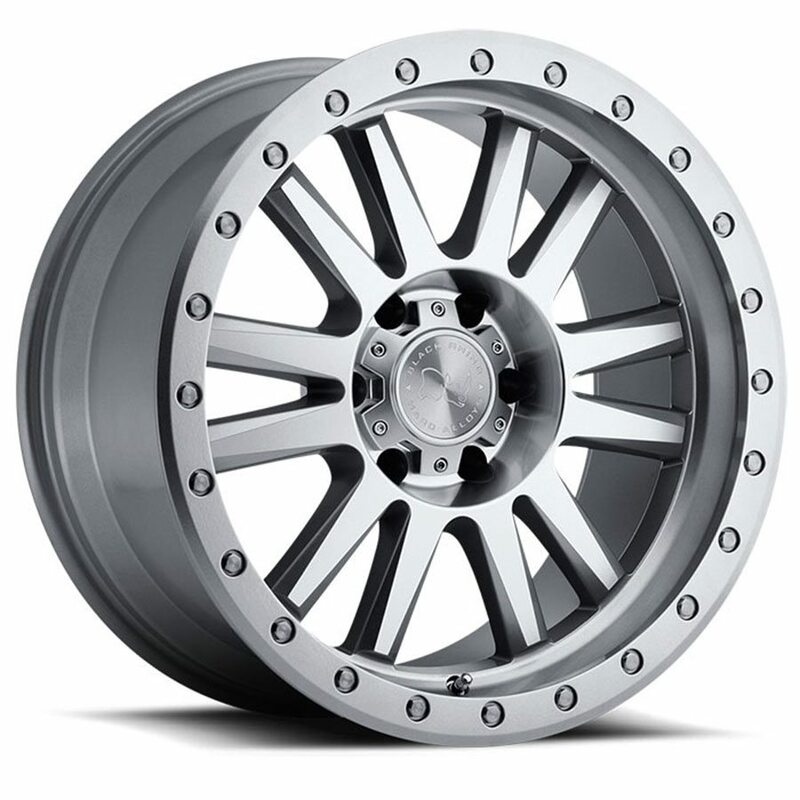 Our Tanay model truck rims are focused on a new, fast emerging segment, the crossover utility vehicle, or CUV. Whether yours is a Juke, Renegade, Crosstrek, HR-V, Trax or even newer, upgrading to muscular 18×8 Tanay hardened light alloys will really set your ride apart. These are serious truck wheels, with six beefy paired spokes, a deep set center hub with an aggressive center cap and a lip accented with bright aircraft-type fasteners. The highly exclusive finish, combining a matte black barrel with a bronze tint spoke array, sets off the design perfectly. Tanay wheels are available in both 5 and 6-lug bolt patterns, for a precision fit on a wide range of CUVs, including the new Chevrolet Colorado and GMC Canyon, the new VW Amarok and the Mercedes Sprinter, too. Like all Black Rhino wheels, they are engineered for strength, durability and long-lasting good looks.